Just because we are maintaining a healthy lifestyle for the new year, does not mean we have to give up our Thirsty Thursday! We have been experimenting with cocktails, trying to bring you some natural goodness. By getting rid of artificially flavored juices in our nightly cocktail we can save so many calories! (and headaches the next morning!) 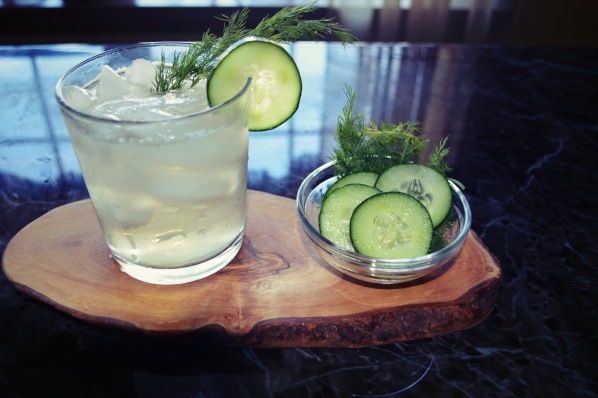 We are swapping in fresh muddled fruit, herbs and vegetables, the end result is so refreshing, and we will drink to that! 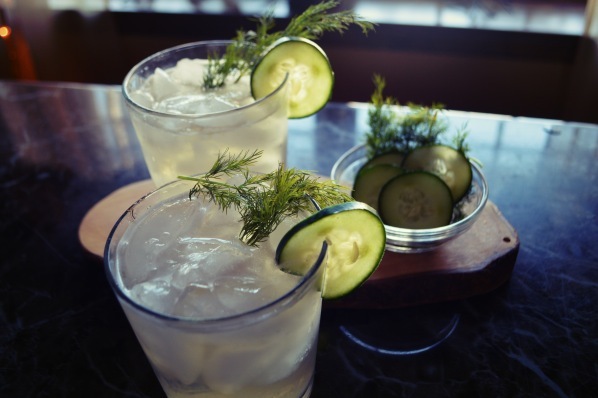 In a cocktail shaker combine agave syrup, cucumber and dill, muddle together, add vodka and shake. Pour over ice into rocks glasses. Top with ginger ale and seltzer. Note – Never shake carbonated liquids, they will explode in the shaker and make a mess! 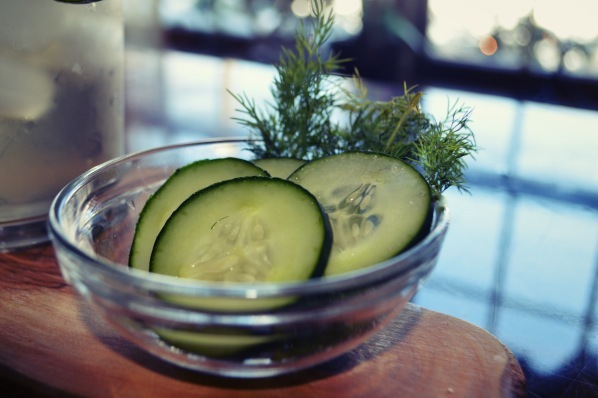 Garnish with a cucumber slice and a fresh dill sprig and enjoy! Looks amazing. I’ll give it a try, thanks for posting it.